First-year nursing student Tess Kostelec said she is leaning toward a career in an emergency room because the fast pace, high drama and need to think quickly appeal to her. 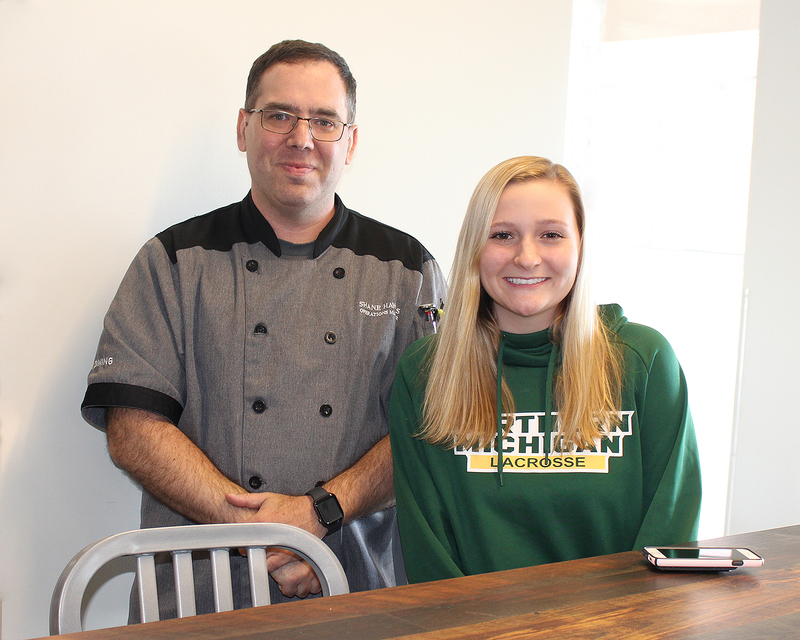 She recently found herself in a situation that involved all of those elements when she saved a student from choking at Northern Lights Dining. Her capable response impressed a staff member and reassured Kostelec that she could indeed thrive professionally in an ER. Kostelec was eating dinner with friends when she heard a student urge someone to go get help. Shane Hawkins, operations manager at Northern Lights, was summoned to help. He arrived just as Kostelec was able to dislodge the burger. After ensuring that the victim was okay, he turned his attention to Tess, stressing that self-care is important after high-adrenaline experiences. A native of Columbia, Md., Kostelec was recruited to play lacrosse at NMU. She was impressed with the nursing program tour during a campus visit and decided to follow in her mother's footsteps. Kostelec is also involved in the NMU Student Nurses Association.